Over the years, Stephen King has retold the story of writing Pet Semetary and wanting to bury the manuscript because he felt like it was the bleakest novel he had written. Indeed, it is a depressing story that deals with the heaviness of grief and a family who suffers one loss after another, all within the span of a few short days. The new film, directed by Kevin Kolsh and Dennis Widmyer, is especially faithful to the novel in terms of tone, subject matter, and theme, despite two drastic changes to the story. The film’s major flaw, if it could be considered a flaw, is just how grim and humorless it is, especially the final act. The basic premise of the film is the same as King’s novel and Mary Lambert’s 1989 adaption. 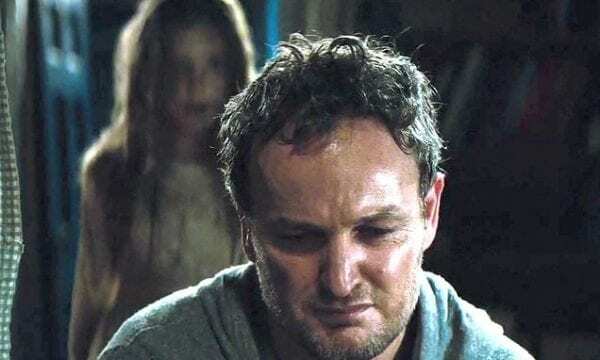 Doctor Louis Creed (Jason Clarke) relocates from Boston to Ludlow, Maine with his wife Rachel (Amy Seimetz) and their two children, Ellie (Jete Laurence) and Gage (Hugh and Lucas Lavoie), so he can take a job at a local university. Soon after relocating, the family befriends Jud (John Lithgow), who tells them about the “Pet Semetary” on their property and eventually introduces Louis to land just beyond the cemetery that has the power to reanimate the dead. At its core, the new film, like its predecessors, is a rumination on grief and loss. One of the most powerful scenes occurs when Ellie first questions her parents about the process of death and asks why animals, including her precious tomcat Church, don’t live as long as humans. Louis tries to answer her in a rational, scientific manner, while Rachel offers a more faith-based opinion. This short scene illustrates Louis and Rachel’s different parenting styles and their contrasting views on death, while also adapting one of the most poignant scenes of the novel, the moment that a child starts to process what it means to die. The film’s heaviness doesn’t relent, as Louis fails to save a student, Victor Pascow (Obssa Ahmed), who is hit by a car on campus and returns in Louis’ dreams to warn him that the barrier “shouldn’t be broken.” The Pascow of this version lacks the heart of Brad Greenquist’s performance in Lambert’s adaptation. Greenquist’s Pascow at least smiled every now and then, even with half of his skull busted open and bleeding. Ahmed’s ghastly version matches the somber, gray tones of the film and the fog-heavy shots of the cemetery. Ahmed’s role is only to provide dire warnings to Louis, staring at him with red eyes, speaking to him as blood leaks from his skull. Not long after Pascow’s introduction, Church is hit by a roaring semi and Jud helps Louis bury him in supernatural soil. Of course, he returns, but different. He hisses, growls, and stinks so bad that Ellie doesn’t want him anywhere near her bedroom. The trailer already spoiled one of the main story changes. It’s Ellie who is hit by a truck and dies, not Gage. Her death is especially effective because the first half of the film gives her plenty of screen time and develops the close-knit relationship that she has with her family. She becomes quite an evil presence in the last act, her face marked with black veins, her voice a growl. She delivers some of the curses and diabolical lines that a reanimated Gage says in the novel, but it’s more realistic coming from a nine-year-old compared to a two-year-old. Kolsh and Widmyer also succeeded in showing the impact of grief on the characters. By the film’s last 30 minutes, Louis is so tormented by all of the death that he becomes red-eyed and ragged. Rachel, meanwhile, is haunted by memories of her sister Zelda (Alyssa Brooke Levin), who died young from spinal meningitis. Zelda plays as large of a role in this film as she does in the novel, and she’s a terrifying presence, heard in the walls of the new house, a manifestation of Rachel’s trauma. The second major change comes within the final minutes, and it’s a drastic departure from the novel and Lambert’s adaption. It punctuates the film with an utterly glum tone, while King’s final pages are more ambiguous. It’s likely that this ending will be polarizing for fans of the original film and King’s book, but the ending makes Kolsh and Widmyer’s film distinct and is consistent with the overall atmosphere, performances, and story of their remake. 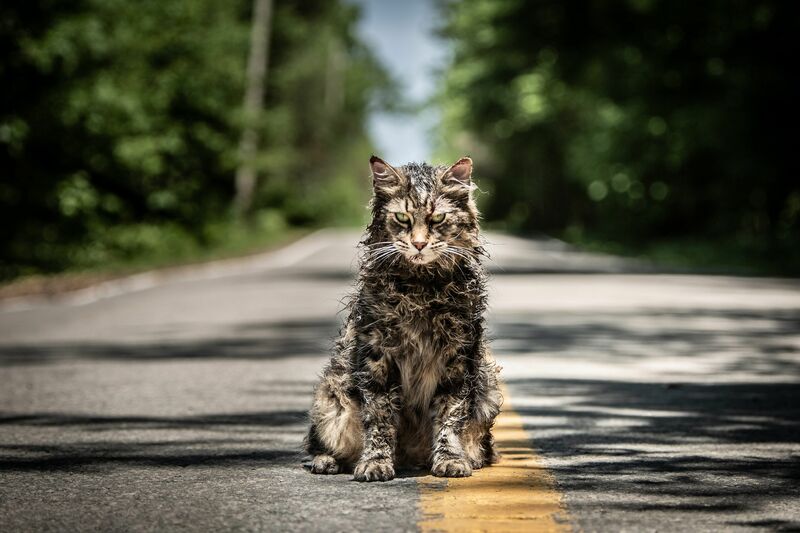 Overall, Pet Semetary is a layered meditation on death and grief. With the huge resurgence of all things Stephen King, it’s likely that the film will do well at the box office, but its main flaw is that it doesn’t have many, if any, lighter moments, and it will undoubtedly be compared to Lambert’s 1989 film, which has amassed a cult following in the horror community over the years. Still, Kolsh and Widmyer managed to maintain the core of King’s novel, while making some changes that are well-suited for the film that they wanted to make.